At noon on the dot, punctuality will make its debut in Peru. Lateness will be a thing of the past, or so its government hopes. Sirens will blare and church bells will ring to remind 27 million Peruvians to synchronise their clocks with time set by the Peruvian Navy. Fed up with the nation's reputation for poor time-keeping, the government is promoting the benefits of being on time in a campaign called "la hora sin demora", or "time without delay". Businesses, government institutions and schools will be urged to stop tolerating "hora peruana" - which usually means about an hour late. President Alan Garcia is renowned for his good timekeeping, and he believes that the laissez-faire attitude of his countrymen harms national productivity and deters foreign investors. The concept of "manana," literally "tomorrow" in Spanish but usually meaning some indefinite time in the future, is common to Latin America. 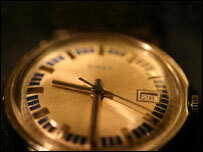 Its nations often score badly in global surveys on punctuality. Time is seen in a much less rigid way than in for example North America and more industrialised countries. In the US, being on time is generally the rule. George W Bush is a stickler for time-keeping, and the whole administration is reported to run punctually. Former US ambassador John Bolton took this attitude to the UN with him. When he held the presidency of the Security Council, he started meetings promptly, even if some seats were empty, and kept a list of latecomers. He is still admired for making the 15-member council more punctual. Germans have long fretted about timekeeping and their punctuality is no stereotype. "We are much stricter than people in, say, Mediterranean countries," says Stefan Klein, author of a bestseller about time. "On the other hand, and from my experience, we might be more relaxed about time than Americans," he told the BBC News website. "I think the common denominator is Protestantism, which imposes very strict ethics on time. It makes people believe that it's almost a sin to waste time." Mr Klein says this view holds pretty much for all Protestant countries. "What is particularly special about Germany, is that it has been an industrialised system for a very long time," says Mr Klein. "Industry implies that people have very strict schedules." 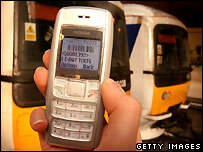 Has the mobile phone compounded the problem with lateness? But it makes it difficult for Germans to act spontaneously, says Mr Klein. "You can't really call someone and say, 'Let's go for a coffee.' Many Germans will want that date in their diaries for at least a week," he says. But, he believes, this will undoubtedly change, because of technological advances, such as the internet and mobile phones. Many people argue that the phenomenal global penetration of the mobile phone has compounded the problem of lax timekeeping. Back in the technological dark ages, they say, you couldn't contact people so easily, so you made an effort to meet them on time. In China, too, being on time is the rule. But this is also one area, where the idea of "face" - or pride - comes into play. Keeping someone waiting is one way to express your seniority and the more senior you are, the more likely you are to keep someone waiting for a long time, says the BBC's Quentin Somerville in Beijing. Foreigners still think of Spain as the land of the siesta, which could imply a huge problem with punctuality - especially when it comes to turning up for afternoon meetings, says Danny Wood, BBC correspondent in Madrid. But, he says, while many Spaniards still have a big break in the middle of the day, usually between 2pm and 4pm, they actually work very long, inflexible and structured hours. Many office workers start before 9am and don't finish until well after 8pm. Spaniards generally stick to this schedule and are usually punctual. But business and work meetings are another matter, according to Miguel Angel Fraile, of the Secretary General of the Catalonian Commercial Confederation. "It's true that Spain is behind the rest of Europe when it comes to punctuality at work meetings," says Mr Fraile. "If I have a meeting in Brussels at 4 pm, it starts at 4pm. Here in Spain we have what we see as 10 minutes of courtesy - so at a 4pm meeting here you can be 10 minutes late. That's a problem, because we see this 10 minutes grace as being polite." Punctuality is not rigidly observed in many Middle Eastern and North African countries. 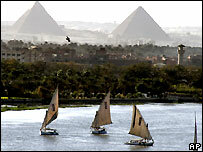 The BBC's Heba Saleh in Cairo says that there is a tendency for everything to start late there. "If you invite people for dinner they turn up at 11pm," she says. "The big disaster is weddings, which are normally held in the evening. Very often they don't start the buffet before midnight - even if you were invited for 9pm." This appears to be the same story in other parts of Africa. In Kenya for example, everyone from the president down is late for functions. "Kenyans are notoriously late - apart from for work, because that might cost them their jobs," says the BBC's Noel Mwakugu in Nairobi. "There is an idea that all functions, official or social, won't start on time, so why bother turning up on time?"